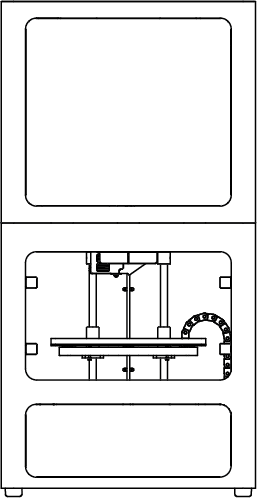 Scan data is sent to Eiger as soon as the scan is finished, so you can inspect your part mid-print. This allows you to measure features and check to make sure that your part is within tolerance. Eiger provides a series of tools for checking different shapes or geometries. Select the square icon for the layer you want to view a scan of from the "Laser Scans" bar. Hold down the "Shift" key on your keyboard and click and drag the mouse to move the laser scan to overlay with your part outline. Select the Line icon to measure a straight edge or distance on your part. Click anywhere on the scan to create a starting point for your line. Click any other point on the scan to create an end point for your line. Rename or verify the dimension in the "Selection Mode" box at the upper right corner of your screen. Click and drag either point on the line to adjust the length or placement of the line over your scan. 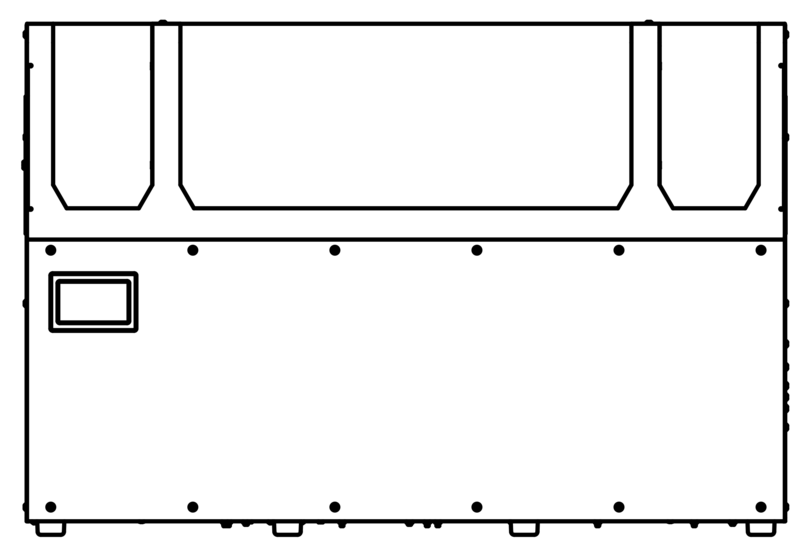 Select the Rectangle icon to measure a rectangular block on your part. Click anywhere on the scan to create a starting point for your rectangle. Click any other point on the scan to set the width and orientation of your rectangle. 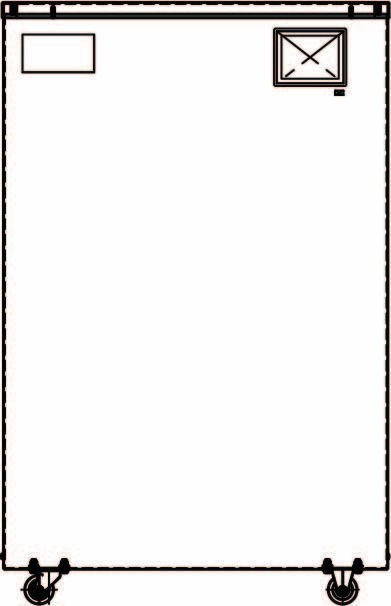 Click on a third point to set the height of the rectangle. Note: Click and drag any point on the rectangle to adjust the dimensions or placement of the rectangle over your scan. Select the Circle icon to measure a hole or diameter on your part. Click anywhere on the circumference of the feature you want to measure to create a starting point for your circle. Select any other point on the circumference to set a control point. Select any third point on the circumference to define your circle. Note: Click and drag any part of the circle to adjust the dimensions or placement of the circle over your scan. 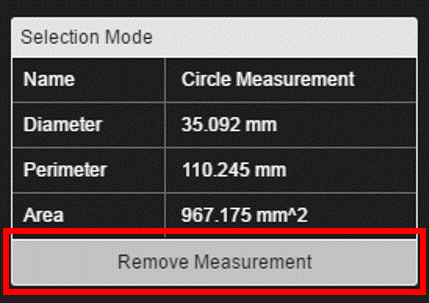 Select any existing line, rectangle, or circle measurement on your scan and click "Remove Measurement" at the bottom of the "Selection Mode" box to delete a measurement from the screen. Eiger can turn your scan data into a Z-height heat map. With the Z-height scan, you can see the distribution of data points and the standard deviation of the heights across the entire layer of your part. Select the Camera icon if it is not already selected. 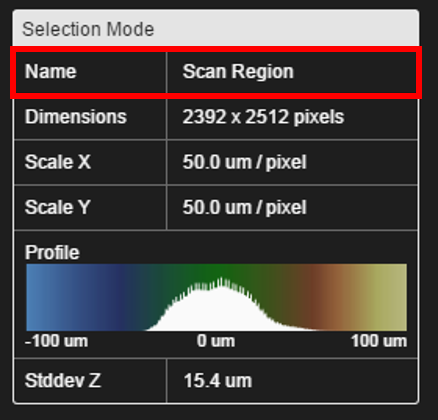 Select "Scan Region" from the "Camera Mode" box at the upper right corner of your screen. Rename the scan by highlighting and overwriting the text the "Name" row of the "Selection Mode" box in the upper right corner of the screen.